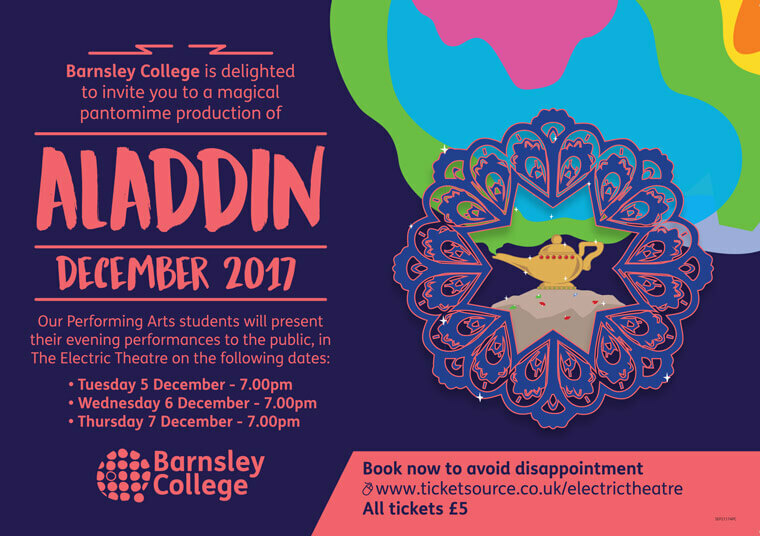 Barnsley College is delighted to invite you to a magical pantomime production: Aladdin. Our performing arts students will present their evening performances to the public in the Electric Theatre. This is the perfect Christmas outing for every generation! Tickets cost £5 and the performances are Tuesday 5 December, Wednesday 6 December and Thursday 7 December at 7:00pm.